Sue Golden PA-C, is one of three Regional APP Director’s for US Acute Care Solutions East & Mountain Region. She currently practices as a Physician’s Assistant at Parker Adventist Hospital in Parker, CO. She has been with USACS (legacy EPPH) since 2006. 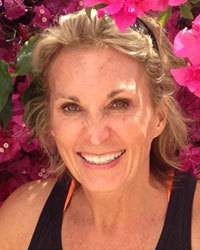 Sue received her undergraduate in Kinesiology from the University of Illinois at Urbana/Champaign. She also completed her Masters in Exercise Physiology there. She has an additional Bachelor’s of Science in Allied Health Sciences from St. Luis University and she completed their Physicians Assistant Program. She is NCCPA certified and licensed in the state of Colorado. She is also certified in Advanced Cardiac and Advanced Trauma Life Support. Her memberships include; The American Academy of Physicians Assistants, Colorado Academy of Physicians Assistants, and SEMPA. She is an Associate Instructor at both St. Louis University and the University of Colorado. She is involved in the PA program at Red Rocks Community College. In her free time, she enjoys skiing, marathon running, adventure races, cooking, and spending time annoying her 3 teenagers.